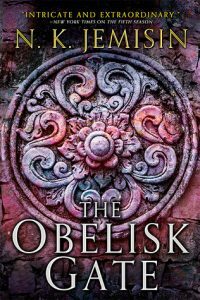 the obelisk gate | Blah! You can tell a book is a real page turner when you get through most of it on an international flight. You can tell that the series is even better when you read the sequel on the return flight. That’s how good The Fifth Season and its sequel, The Obelisk Gate, are. 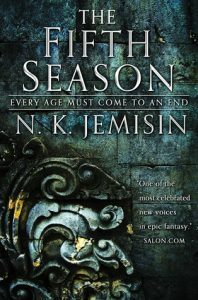 N. K. Jemisin has created a unique world in which the perils of the characters are trumped only by the perils of the planet they inhabit. The Stillness, as the world is known, is anything but. Constantly racked by earthquakes and volcanoes, the inhabitants of this world have learned to survive in the so-called “fifth season”, when weather patterns, food production, and the very survival of humans is disrupted. Against this backdrop exist a set of humans who have the power to control, at least to some degree, these tremors. For this, they are feared and controlled. Jemisin’s world is almost as much as a living, breathing entity as her human characters, but not quite. Her human characters are simply outstanding, with a depth that goes beyond typical “non-player character” levels of superficialness and delves deep into what makes them tick. Good guys are shown to be cruel and bad guys are given a deeper side that evokes some sympathy for their actions. This is a world that is not black and white in any sense. Rather it is a world of grey burning in fire. Finally, Jemisin’s characters warrant a few more words. Both The Fifth Season and The Obelisk Gate follow an interesting narrative in which three different character arcs are developed in parallel as the story evolves. Not much more can be said without giving away too much of the plot, but suffice it to say that this leads to a very interesting narrative structure that keeps the story moving along without revealing too much at once. Overall, as one might guess, I really enjoyed these two books and highly anticipate the third and final one in the series. Jemisin has created a rich world with a long and detailed history that directly impacts the story. How she resolves it all, how her characters survive what is coming, are questions that I am really looking forward to seeing answered.